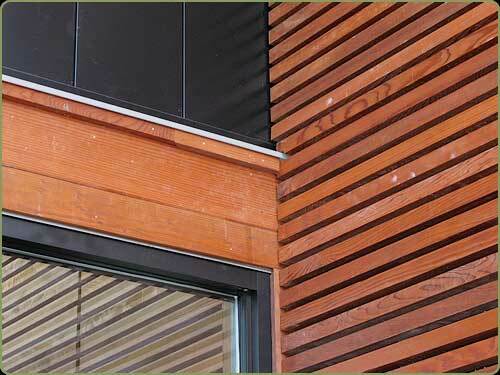 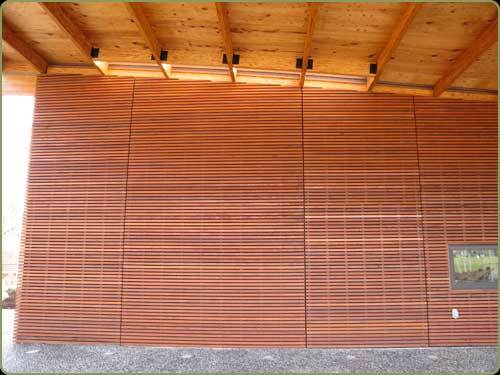 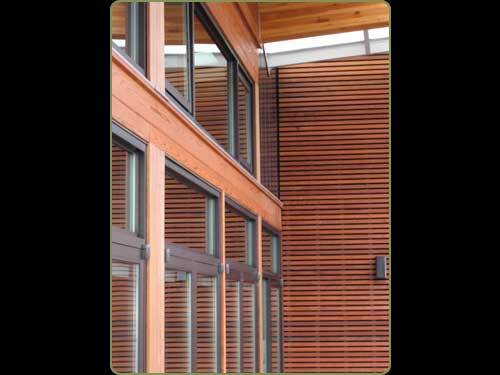 The Redwood product pictured is recycled redwood. 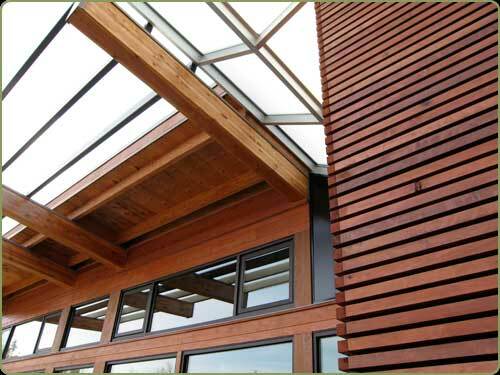 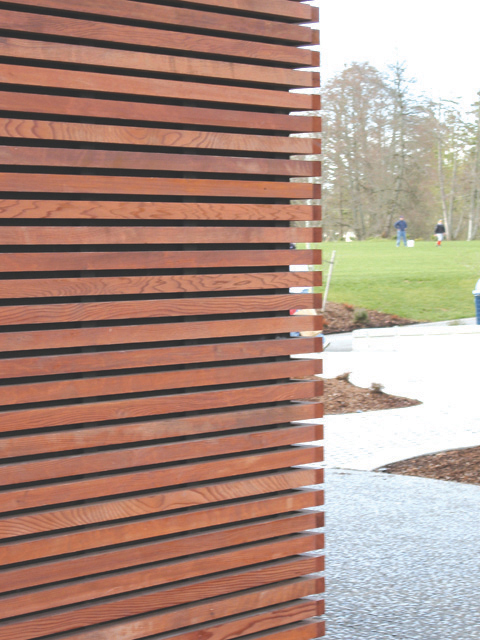 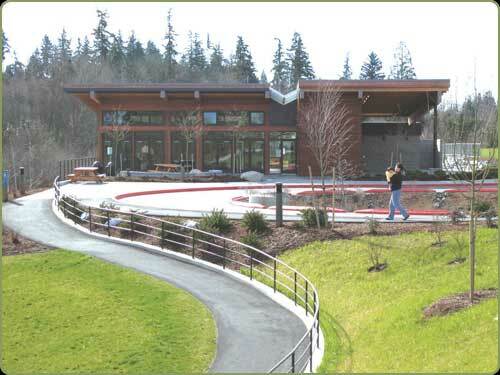 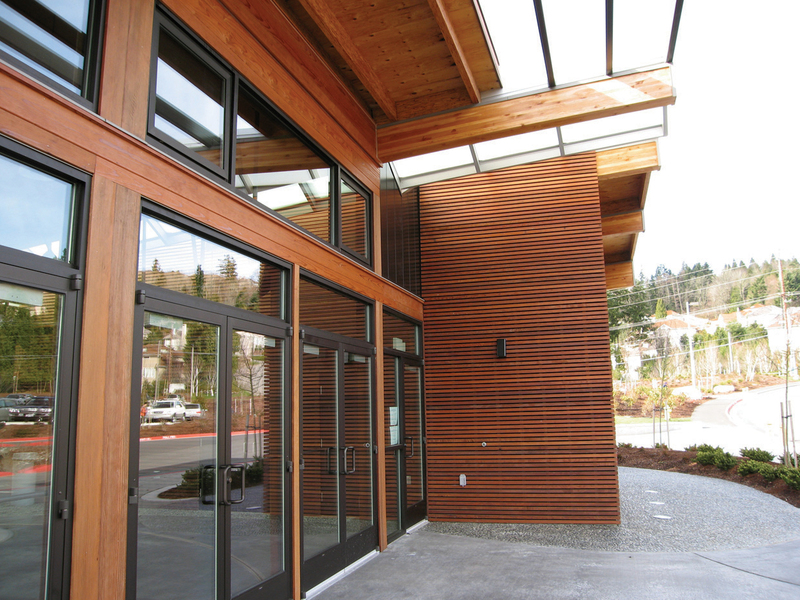 Bellevue,WA built one of its newest community centers with Bear Creek Lumber recycled redwood. 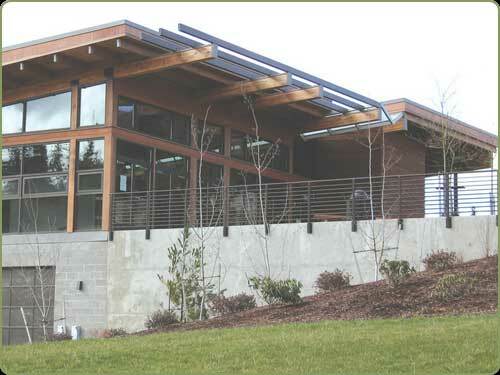 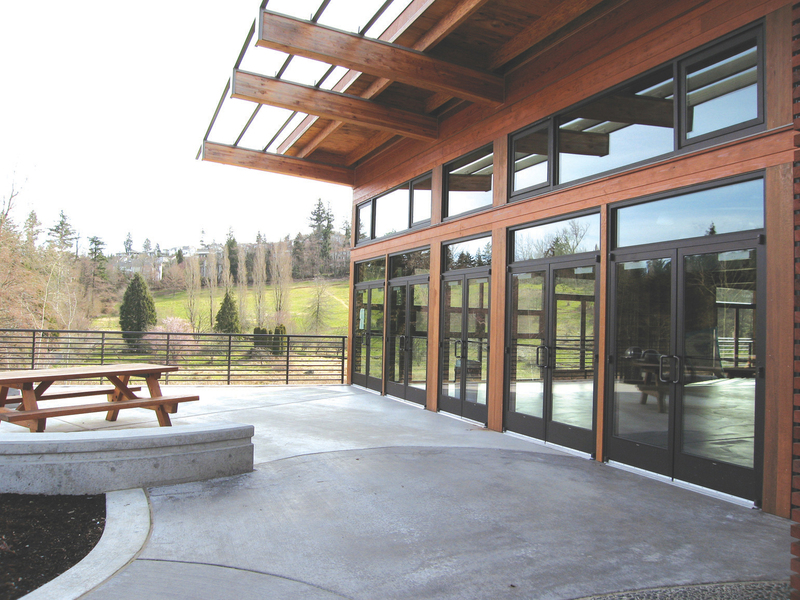 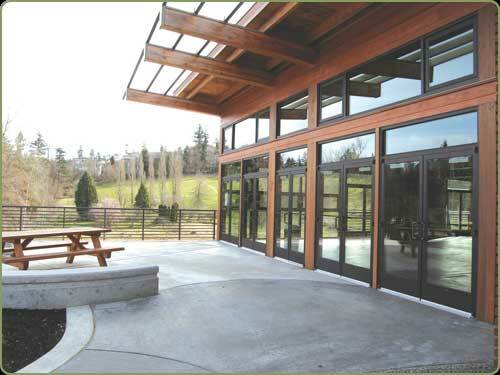 The Lewis Creek Recreation Center was built by Chinn Construction of Redmond, WA. 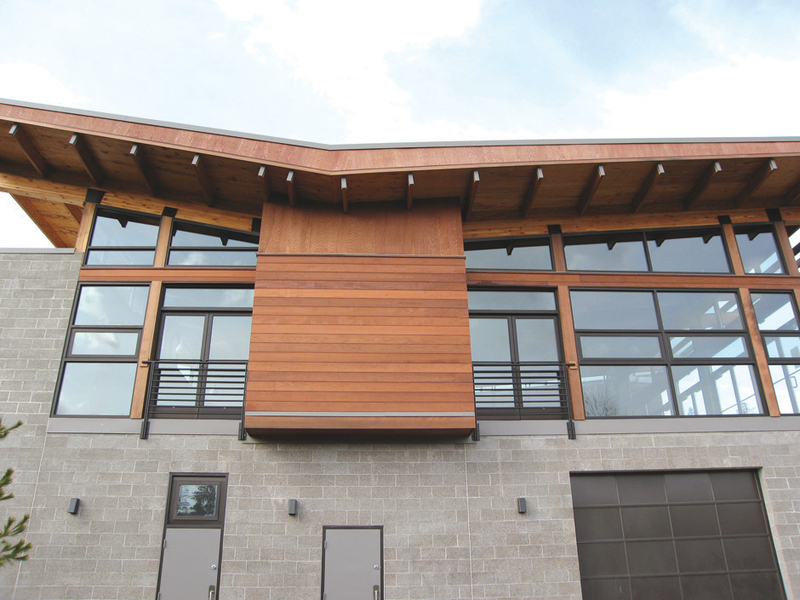 Salesperson James Witkowski says the project shows the community's commitment to using sustainable materials in how it structures community facilities. 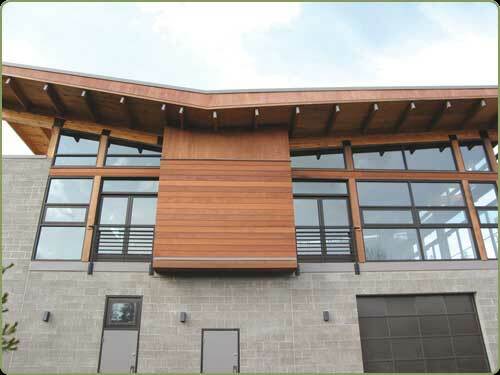 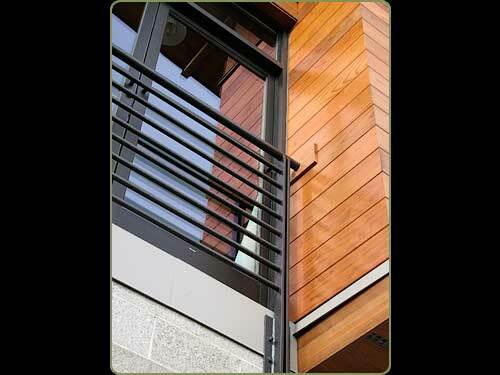 The project reflects Northwest urban design, a mixture of utility, natural beauty and functional design. 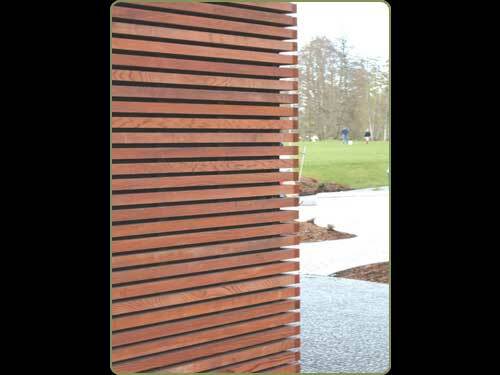 The Redwood product pictured is recycled redwood including 2 x 2 that are cut from 2 x 8 rough cut inventory, ripped and surfaced to 1 1/2 x 1 1/2 squared. 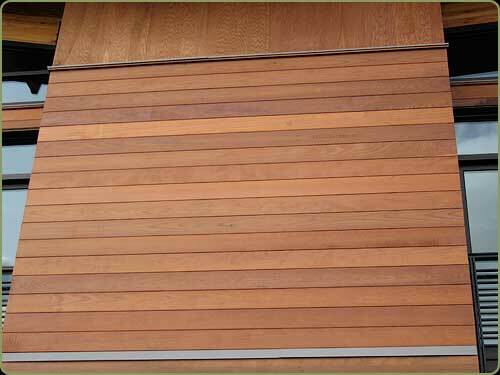 The 1 x 8 T&G is Clear All Heart Mixed Grain. 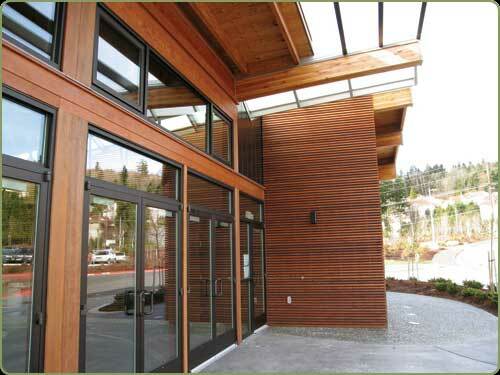 The 1-inch trim, around the doors and windows, is from a Ketchikan , Alaska water tank.